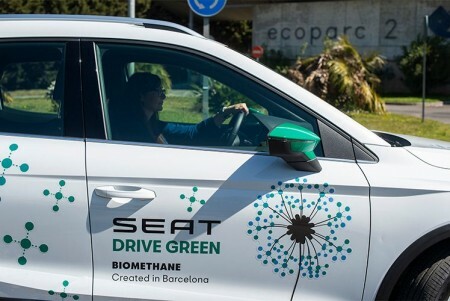 Car manufacturer Seat announced that it will be launching a project converting organic waste into biomethane in Barcelona. According to the release, the Life Methamorphosis project uses five steps: recycling, transforming, refining and compressing, refuelling, and ‘driving off’. “With all the organic waste that is generated we can produce enough biomethane to power 10,000 cars to travel around 15,000 kilometres every year,” said Seat engineer Andrew Shepherd, who leads the project. The company continues to outline that of all the waste collected at the Ecoparc 2 in Barcelona, biomethane is produced using organic waste and any other useful forms of waste, transforming it into biogas. Seat claims that the organic waste is then fed into 25m-tall anaerobic digesters, with each holding a capacity of 4,500 cubic metres, turning it into a 65% methane biogas. Any organic waste that isn’t transformed is used as a fertiliser. “This biomethane can be injected into the gas supply network. They have the same chemical composition, so it can be used directly or mixed with conventional gas,” said Shepherd.